Book our semi-private "Nook" area for up to 50 guests for your next corporate or social celebration. 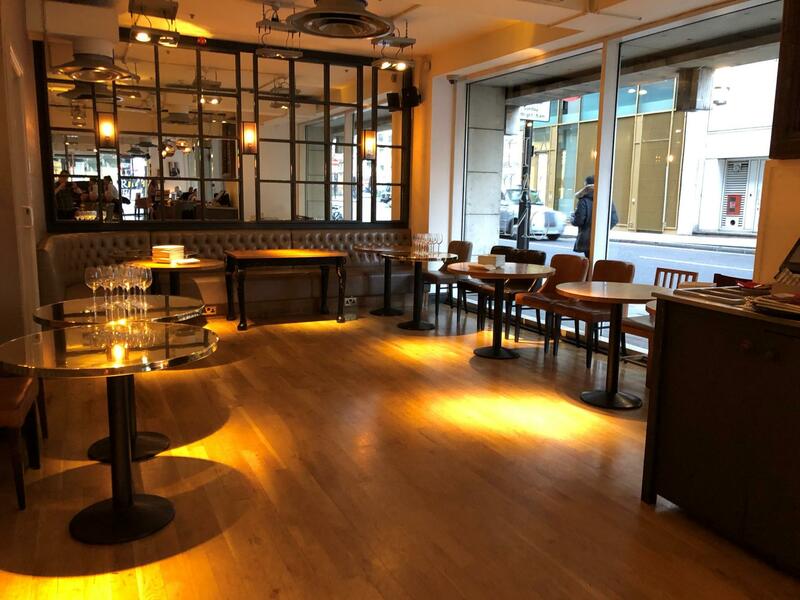 A stones throw from Moorgate station and close to Liverpool St and Old St, All Bar One Chiswell St is a popular spot for both local City workers and those wishing to stop by before their commute home. The lively open plan venue offers a flexible space that can be tailored to accommodate groups of different sizes. With seasonal dishes and a friendly, inviting atmosphere it is the perfect place for breakfast, lunch, dinner or just drinks. Planning a private party? From birthdays to a small family get-together, All Bar One Chiswell Street is perfect to hire for any kind of stylish celebration. Guests can indulge in breakfast, lunch, dinner and tapas-style sharing plates alongside a quality selection of wines. If wine isn’t your thing, then not to worry, this stylish City bar also offers an impressive range of cocktails, premium bottled lagers and beer on tap. The ideal venue to unwind after work and appreciate fine food and drink.